3-in-1 splendour for instant impact in your garden. 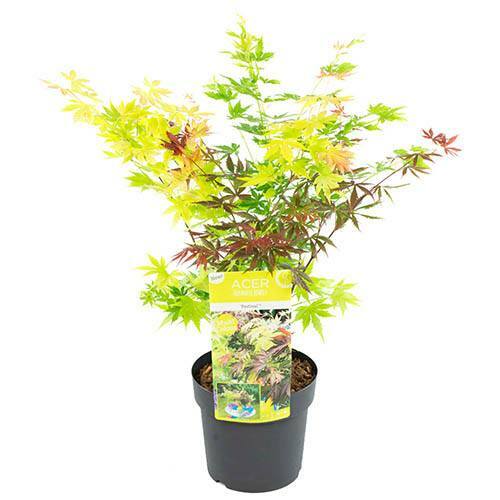 A favourite in Japanese-style gardens, many acers grow extremely slowly and are perfect in smaller gardens. Complete with 15' diameter Premium Rope-Effect planter. 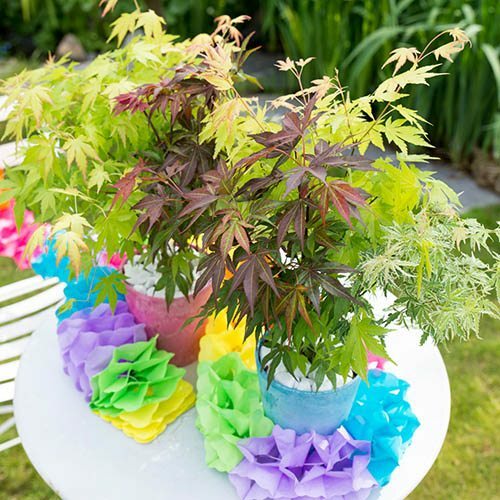 Japanese maples are famed for their graceful habit, autumn tones and beautiful foliage, and this colourful mix of three hardy plants will give you a riot of colour through the year. Starting in the spring, the leaves emerge in tones of acid green, mid green and red, gradually transitioning through green and red in the summer, and then, just as you thought the colours couldn't get any better, you'll get shades of fiery orange, yellow and red as the autumn progresses. 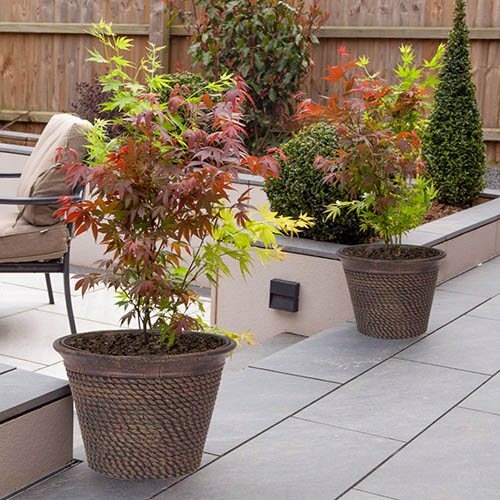 Grown together in a single decorative pot, our Acer collection consists of three different varieties of Acer palmatum, and makes an absolutely superb feature for your patio or decking. 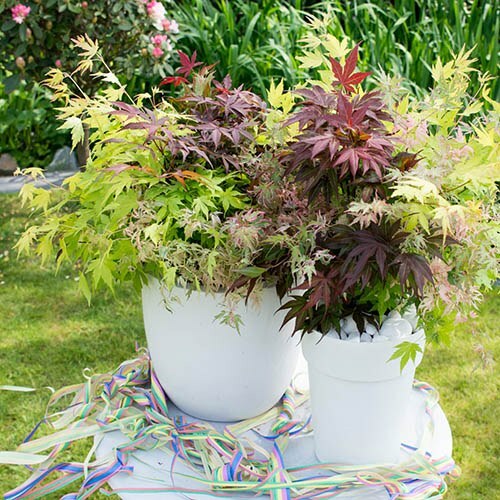 You can also try placing these miniature trees in your flower border where the foliage will contrast magically with colourful perennial flowers. 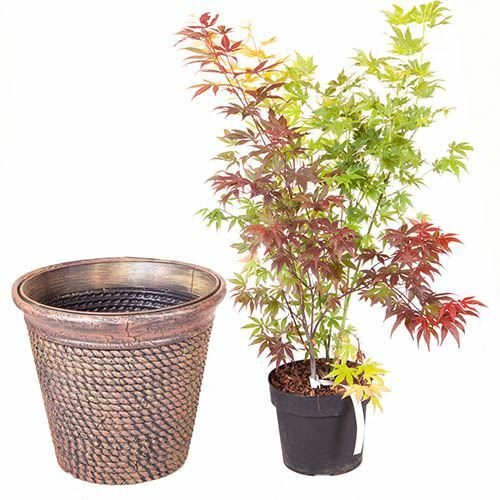 Complete with a 15' premium rope-effect planter for instant impact in your garden. Supplied as 3 plants grown together in a single 3L pot, includes a 15' premium rope planter.